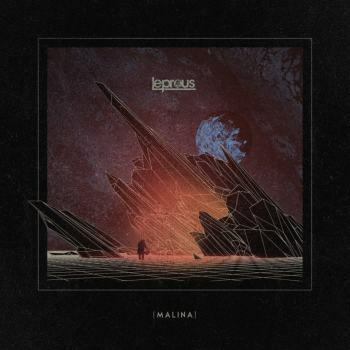 Malina is the sixth album of the Norwegian prog rock/metal band Leprous and with this album the band again emphasises that it cannot and will not be caged into any single genre as with this album Leprous sets its teeth into the more progressive world of music. Just listen to the opening song called Bonneville and you will catch my drift as that song is almost jazzy and filled with electronics, but it is also dominated by the “extreme” high voice of Einar Solberg. Leprous “uses” lots of different musical influences and references on Malina, such as Haken, The Mars Volta, Devin Townsend, Muse, Tool and even Radiohead. Luckily for me Leprous has chosen to omit the screams and grunts on this album, but the complex rhythms, the melancholy, the polyrhythmic grooves and the biting lyrics are still very present. Musical highlights for me are From The Flame, which is also a single, Coma, a super, hyper active song and one of the longest tracks The Weight Of Disaster, filled with excellent guitar riffs and melodies. However, the last track called The Last Milestone, which clocks over eight minutes is a super “weird” song as you can only “enjoy” violins and the very high, falsetto voice of Solberg. Compared to their previous albums Coal (2013, see review) and The Congregation (2015, see review), Malina is a step forward in the musical development of this excellent Norwegian prog metal/rock band; listen and enjoy and be sure to put on your headphones! !